Quinnipiac has stayed pretty active on the recruiting despite being full blown into their season. Two more players have committed to the Bobcats as Wenatchee Wild (BCHL) teammates Christophe Tellier and Christophe Fillion committed today to the program for the 2020-2021 season. 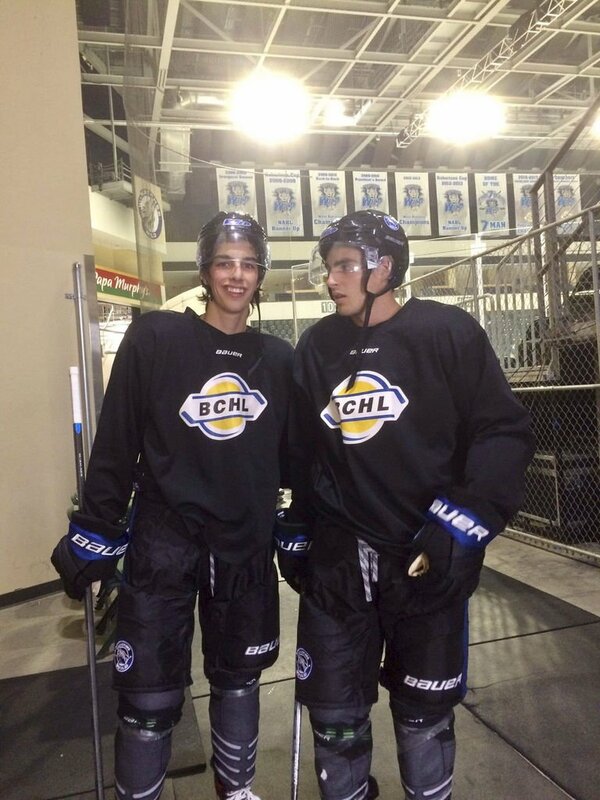 Both are 2000 born forwards and are natives of Sherbrooke, Quebec, Canada. The pair become the second and third Quebec born players to commit to Quinnipiac in the last two and half weeks following the commitment of goaltender Yaniv Perets. Both players have gotten off to strong starts in their rookie season in the British Columbia Hockey League with Fillion leading Wenatchee with 11 goals and Tellier 4th in the team in scoring with 18 points. Fillion is a 5'10, 175 pound that shoots left and plays right wing while Tellier is a 6'0, 160 pound left shot center. The two most recently were teammates with the Iowa Wild AAA U-16 & U-18 teams in the 2016-2017 and 2017-2018 seasons. Last season Fillion also played 18 games for the Janesville Jets (NAHL) and two games for the Chicago Steel (USHL) while Tellier played one game for the Minot Minotauros (NAHL). They also played together at Bishops College M15 major team in the 2013-2014 season. They are currently teammates in Wenatchee with fellow Bobcat commit PJ Fletcher. Congrats to both on your commitment and welcome to Bobcat Nation.